Ecuador's foreign ministry has announced the country has granted citizenship to Wikileaks founder Julian Assange. 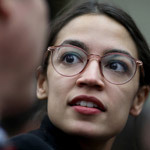 The announcement from the ministry comes one day after Quito reportedly issued an ID card to the infamous whistleblower. 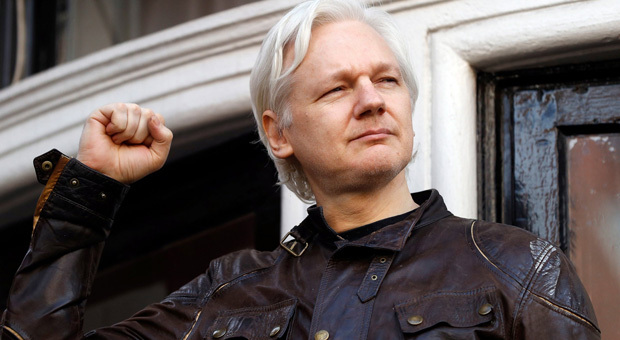 Becoming an Ecuadorian citizen could provide Assange with the first steps towards obtaining diplomatic immunity, as Ecuador is hoping to resolve his indefinite embassy stay. With immunity as a foreign diplomat, the Wikileaks editor would be free to leave the London embassy where he has been holed up for over 5 years, without fear of arrest by British law enforcement. 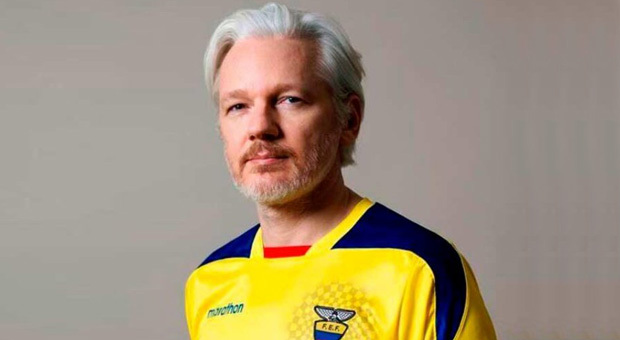 This news follows hints from Assange earlier this week that he may be on a pathway to freedom after he posted an image of himself wearing the Ecuador soccer team's home shirt. The post including no explanation leaving many to speculate that Assange had been extradited to Ecuador and was safely on home turf, as opposed to away in the embassy. According to RT, the UK Foreign Office reportedly rejected a request from Quito to grant the whistle-blower diplomatic status. 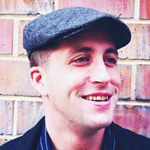 The passport was reportedly issued to him on December 12. Ecuador’s foreign minister, Guillaume Long, says the country is seeking a “dignified and just” solution with the UK government over Assange’s case. 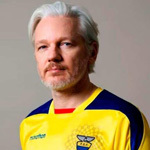 He added that Assange will not leave Ecuador’s embassy while there are no security guarantees. 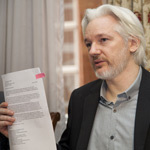 “The government of Ecuador recently requested diplomatic status for Mr. Assange here in the UK. The UK did not grant that request, nor are we in talks with Ecuador on this matter. Ecuador usually issues such ID cards, which are called cedulas, for people claiming residency status. The Vienna Convention on diplomatic relations states that someone who holds a diplomatic passport is immune from prosecution. It is still no guarantee, however. Assange has been living inside the Ecuadorian embassy in London since 2012 when he was accused of sexual assault in Sweden. Although Swedish prosecutors have since dropped the case, British police remain outside the embassy ready to arrest the WikiLeaks co-founder for breaking his 2012 bail conditions. 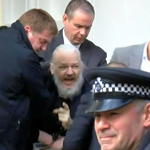 Assange refuses to surrender to the British authorities, fearing they would extradite him to the United States, where he expects to be prosecuted for his whistleblowing activities. 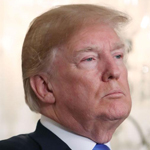 According to Verge, Swedish prosecutors discontinued their sexual assault investigation last year, citing their inability to look into the case so long as he remains cloistered inside the embassy. However, prosecutor Marianne Ny stated that she would “resume the investigation immediately” if Assange chose to “make himself available” at some future date. Assange’s supporters have called his two alleged victims “honeypots,” attributing the claims to a nation-state conspiracy striking back at a man who rose to global prominence after publishing classified United States diplomatic cables in 2010. 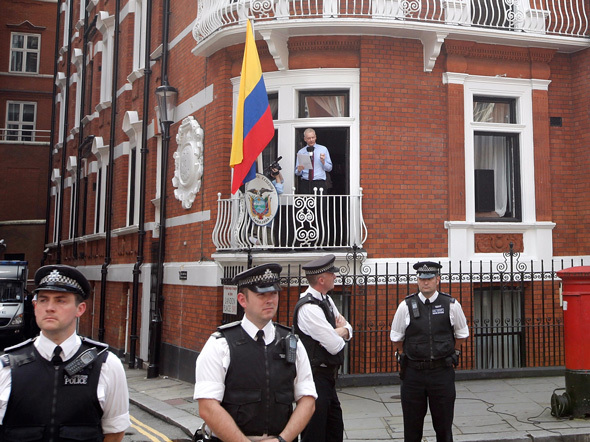 After five years of residency, the Ecuadorian government is actively working towards finding a way for Assange to finally vacate the building, although that cannot happen without the UK’s cooperation.